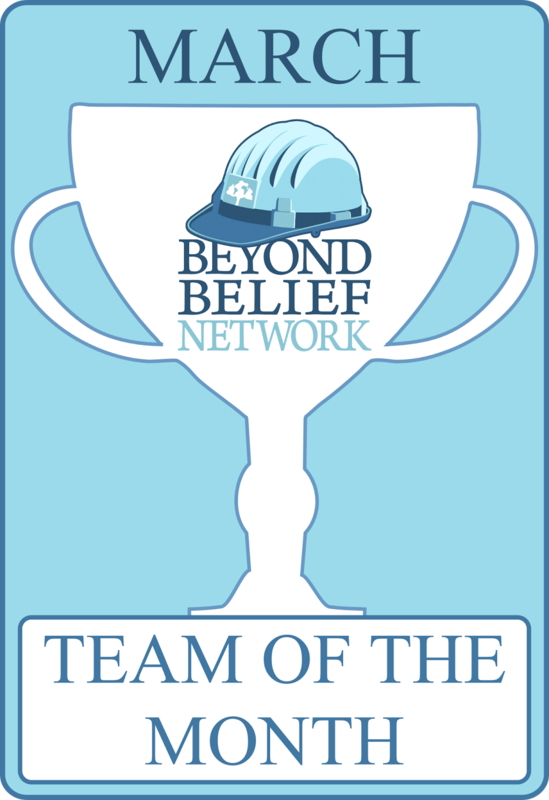 We’re thrilled to announce ATXAHH was selected by the Beyond Belief Network as their March 2014 Team of the Month. What a nice way to be recognized for the work we do. Thanks, BBN! Want to be a part of our awesomeness? We’d love to have you join us! 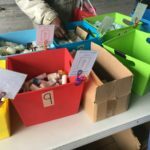 We don’t employ staff and our operating budget is $0.00 so our success depends completely upon donations of items and time. Got items but no time? No problem. One of our volunteers can pick up donations from your doorstep. Just contact us to schedule a time. Currently, we really need travel size items like lotion, body wash and sunscreen as well as lip balm and disposable razors. Got time but no donations? That’s not a problem either. 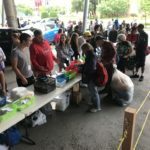 Come on down to our next giveaway and help distribute items. Our next giveaway is Sunday, March 23rd, at 9:00 AM sharp. 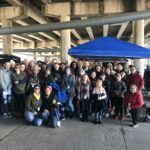 We meet in the parking lot under the I35 overpass at 8th Street. Look for us in the northwest corner of the lot (closest to APD headquarters). We wrap up by 10:00 AM. We’ll end this post with a special donation request. Do you have 2-3 orange safety cones collecting dust in the garage? We’ll gladly take them off your hands and put them to good use month after month after month. 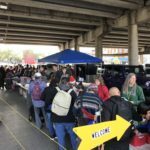 The minute we get to a giveaway and open our trunks, people want to get a closer look at what we’ve brought and it can feel a tad stifling to the volunteers. These safety cones will create a buffer zone between our volunteers and the homeless citizens so we can safely set up in an organized fashion. They’ll also help us respectfully communicate when we’re “open for business” instead of using volunteers as bouncers to keep people at a safe distance. Please email us if you would like to donate cones to our cause. ← New Month, New Donation Drive!